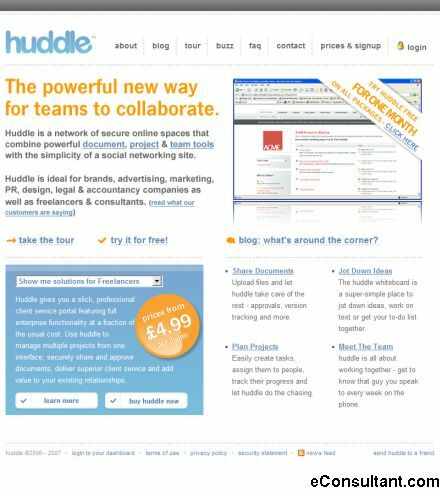 Description : Huddle is a network of secure online spaces that combine powerful document, project and team tools with the simplicity of a social networking site. Collaborate on documents (with access control, version management and approval workflow), create project milestones and share ideas online. Fully hosted, no special software required. Free package (1 project huddle, 5 users, 25MB of storage) and several paid subscriptions available.